Dezeen Book of Interviews: in the fourth extract from our latest book, Australian industrial designer Marc Newson talks through his comprehensive monograph and the history behind his Swiss watch company, Ikepod. During an interview at his London studio with Dezeen editor-in-chief Marcus Fairs, Newson discussed his book 'Works', which charts the evolution of his career from designing chairs to timepieces and private jets. "It spans almost 30 years, which is kind of terrifying. It goes right back to my days in art school, where I was already becoming preoccupied with watches and even strange pieces of furniture," he said. In 1994 he helped found a company called Ikepod, which specialised in manufacturing high-end watches and conceptual timekeeping devices. "One of the things that has preoccupied me over the years has been timepieces," he said. "The last piece I designed for Ikepod wasn't a watch. It was an hourglass, which was odd, because it wasn't particularly accurate but one of Ikepod's most successful products." "What's interesting is that I became known in the early days of my career as a furniture designer, but looking at my book it becomes evident to me that furniture represents a really small part of what I've done over the past 25 years." Newson studied at Sydney College of the Arts, Australia, where he focused on practical mediums that gave him the opportunity to create physical objects. "During my time at art school, having done painting and sculpture, I ended up in the jewellery department," he said. "I discovered that I had very little interest in jewellery or silversmithing. All I really wanted to know was how to make things." "That's how I started, as a kind of one-man operation physically making things and not really sure what I was going to do with them. One thing led to another and furniture evolved over the years into industrial design." As Newson began to receive commissions from larger corporate companies, he realised that the design process was more about solving issues for clients than designing for his own interest. "In the early days of my career, design was kind of a hobby. Now it's very much a job, so the dynamic has changed," he said. "Rather than a leisurely process, whereby ideas would just sort of come into my head, now I really have to apply myself and attempt to solve problems in a far more proactive way." Newson's monograph ends in a chapter that contains a list of his unfinished works, which, he suggests, were vital to the gradual development of his style. "One of the greatest projects that never happened was a series of optical products for a company called Swarovski Optik," he said. "I don't know if many people know that Swarovski makes the best binoculars and telescopes in the world for birdwatching and hunting. I designed a whole range of products for them." "I thought it would be interesting for people to see not only the real stuff that exists but the stuff that didn't, for one reason or another." Marcus Fairs: Why did you want to do this book? Marc Newson: It's not the first book I've done. It's probably the fourth. Some have been complex, some less complex. But I really wanted to do something incredibly comprehensive that described what I really do, how I started working, where I started and why I started, why I'm interested in techniques and materials. Why I'm interested in different industrial processes, and also describing the way I get an idea from my head into reality. It goes through several iterations and steps along the way. Marcus Fairs: Has the way you work changed over the years? Marc Newson: To be honest, it's changed a lot. In the early days of my career, design was kind of a hobby. Now it's very much a job, so the dynamic has changed. Rather than a leisurely process, whereby ideas would just sort of come into my head, now I really have to apply myself and attempt to solve problems in a far more proactive way. Marcus Fairs: What set you off on your career path? Did you always want to be a designer? 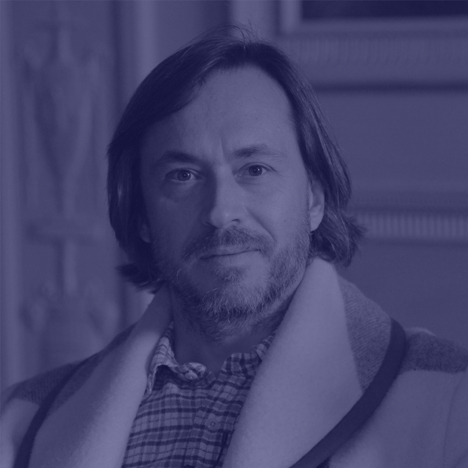 Marc Newson: During my time at art school, having done painting and sculpture, I ended up in the jewellery department. I ended up thinking I was going to become a jeweller or a silversmith. The only reason I ended up in that department was because, within the art-school context, they were the only things that gave me a practical training of any kind. I discovered that I had very little interest in jewellery or silversmithing. All I really wanted to know was how to make things. In my last year or so I became interested in furniture – particularly chairs, which have become representative of design in a way not many other objects can be. I set about making furniture. That's how I started, as a kind of one-man operation physically making things and not really sure what I was going to do with them. One thing led to another and furniture evolved over the years into industrial design. Marcus Fairs: Talk us through the book. Marc Newson: What I have here is the first proof of the book, an unbound version. It's huge: 600 pages, very comprehensive, and I'd say 95 percent of the stuff I've done since the beginning of my career in 1984 is here. It spans almost 30 years, which is kind of terrifying. It goes right back to my days in art school, where I was already becoming preoccupied with watches and even strange pieces of furniture. In 1986 I had my very first exhibition. It's interesting to point out, particularly in the context of the design-as-art phenomenon, I was designing furniture as sculpture at the beginning of my career. Not because I sensed there was any interest in those kinds of objects, but it's all I could do. I had to make these things as one-offs. I was literally making things myself. I was doing everything, from upholstery to machining to welding, you name it. The reason I did limited-edition pieces is not because I wanted them to be limited, necessarily, but because I couldn't make more than a certain number physically. Of course, when I got to the point where I was having exhibitions at the Gagosian Gallery, things changed. I was afforded a little more luxury in the ways I could work. So some of the work I've shown at the Gagosian is limited for other reasons. There are chapters full of furniture to begin with. One of the first pieces, of course, was the Lockheed Lounge. There are these fantastic, funny anecdotal pieces in the book: there's the Vitra miniature of the Lockheed Lounge; there's a picture of Madonna with it in one of her videos; there's a fantastic film called Team America, where they used my Lockheed Lounge as a mini prop. What's interesting is that I became known in the early days of my career as a furniture designer, but looking at my book it becomes evident to me that furniture represents a really small part of what I've done over the past 25 years. The book shows the process from digital imagery, prototyping, choosing samples, approving the initial mouldings. There are lots of drawings throughout the book, hundreds of sketches, which are detailed very accurately. I've had a sketchbook with me by my side for the last 30 years. There's all sorts of stuff in the book. Early works in carbon fibre, knives, a surfboard I made for a guy called Garrett McNamara. The board was actually shown at the Gagosian and sold as a piece of sculpture. Of course I've designed interiors, architecture, recording studios, restaurants, fashion boutiques and shop concepts for various people. I've been working for the fashion brand G-Star for almost eight years. A lot of the garments have become cult garments; you will have seen celebrities wearing them at the MTV Awards. The G-Star Galaxy star-printed jacket was apparently very popular with Justin Bieber. The airline Qantas has been one of my biggest clients. I've designed the aircraft interiors and all its airport lounges. The A380 aircraft interior was a big project I did for them, working very closely with Airbus. I've done lots of aeroplanes over the years, but the difference here is that I literally designed everything down to the cutlery. I also designed a range of luggage tags that contain RFI chips, so everyone knows where their luggage is at any moment. Qantas actually sells these to their passengers. No other airline in the world has luggage tags with RFI chips inside. In the past ten years, designing things in the transport industry, particularly aviation, has accounted for 50 percent of the workload coming through my studio. It doesn't only include things like private jets, which I'm always designing – I've got two on the go right now. I started off doing cars. I designed a car for Ford back in 1999. All the analogue dials were controlled by a central toggle and operate electronically, like eyeballs. This was my idea, refining and distilling the controls you need to operate a car. I got it down to about eight things. I figured that's all you need to use a car. I don't really believe in using instruction manuals; I tend to throw them away. One of the things that has preoccupied me over the years has been timepieces. I started a watch company called Ikepod back in 1994, but I started designing watches in 1986 – not only designed but built myself, so there are very intricate sketches in the book. The last piece I designed for Ikepod wasn't a watch. It was an hourglass, which was odd, because it wasn't particularly accurate but one of Ikepod's most successful products. The most successful timepieces I designed were for the company Jaeger-LeCoultre. They’re called Atmos clocks, large clocks that are almost self-perpetual; they're powered by small differences in temperature, so you never have to wind them. These were big, expensive objects but really fun, because working with people like Jaeger-LeCoultre, they're absolute experts in their field. I work with such a broad range of people. Some are great, some not so great, but these guys are great. They do what they do incredibly well, and for a designer that’s always such a relief. You're not going to have to bang heads with people. There's a huge section at the end of the book that I refer to as 'unreleased pieces'. These are concepts that were never realised or concepts that were manufactured in very limited quantities but never made it through to production. Or in some cases just the studies that help me get from one place to another stylistically. I thought it would be interesting for people to see not only the real stuff that exists but the stuff that didn't, for one reason or another. One of the greatest projects that never happened was a series of optical products for a company called Swarovski Optik. I don't know if many people know that Swarovski makes the best binoculars and telescopes in the world for birdwatching and hunting. I designed a whole range of products for them. I think, all in all, this is one of the most comprehensive books on design I've ever seen. It's certainly the most comprehensive I'm ever going to do. It's huge and a bit unwieldy, but we just couldn't make it any thinner.